BBC Media Action is the BBC's international charity. Palladium is a global impact firm, working to link social progress and commercial growth. We are working together on the '141D' project which aims for economic growth to bring more benefits to poor and marginalized people in Tanzania, in terms of jobs, increased income and improved access to basic services. We are looking for a Media Manager to be responsible for the development and implementation of 14ID's media-related strategies. S/he will manage relationships and contracts with media partners and will ensure activities are in line with the organisations' approaches to governance, are research and evidence-led, and fully compliant with editorial guidelines. S/he will also mentor local media production and broadcast partners. The ideal candidate will have at least five years' experience in international development and/or media production; proven ability to make fast, informed editorial judgments: at least three years' experience as a trainer / mentor of local media houses; and demonstrable experience of managing media and/or governance development projects. Interested applicants should request a full job description from recruitment@tz.bbcmediaaction.org Candidates should then send their CV and cover letter (PDF or Word) outlining their experience and suitability for the role in English to the above email with the title of the position applied for in the subject line before 5 pm on 15th June 2018. Please do not send certificates or other attachments. This is a local post applicable to people who have the legal right to live and work in Tanzania and national terms and conditions will apply. BBC Media Action was founded in 1999 by the BBC as its international development charity. We apply the editorial standards of the BBC, build on its values and often work closely with the BBC World Service and other BBC departments. However, we are legally and financially independent and work to a distinct mission. 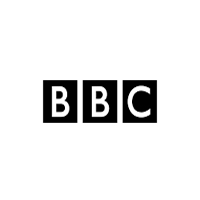 Originally known as BBC World Service Trust we changed our name to BBC Media Action in December 2011.